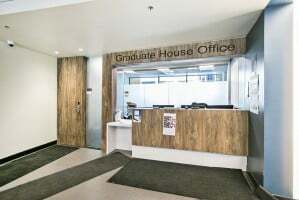 This project consisted of a conversion of an existing second-floor exterior balcony area to interior space to create the new administrative offices for the Graduate House. 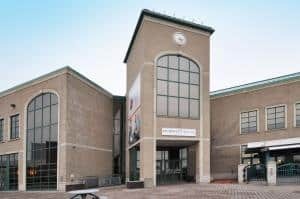 This involved extensive structural steel work as well as roofing, EIFS, and aluminum windows. 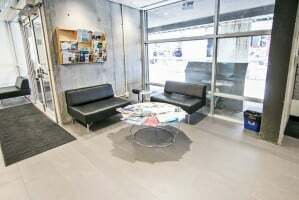 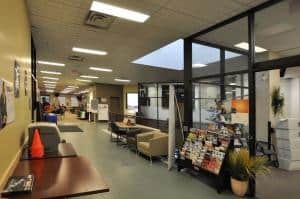 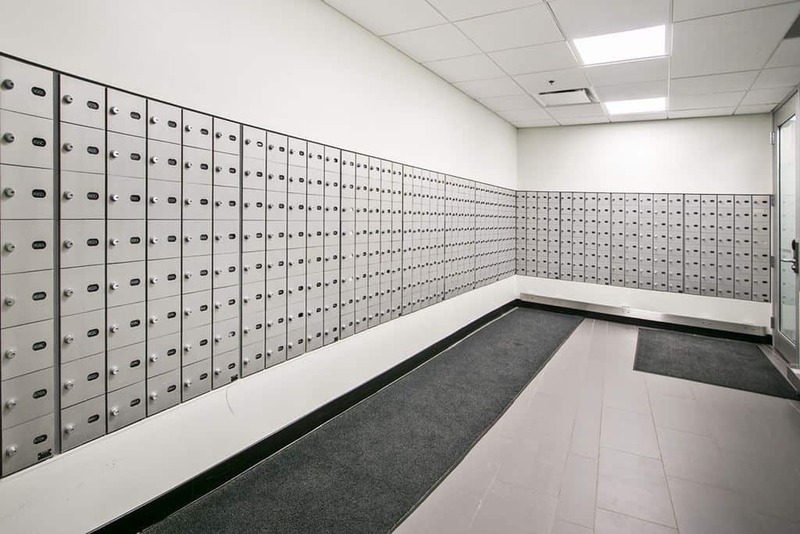 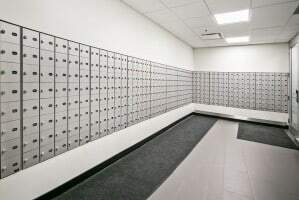 The newly reclaimed space was combined with a complete renovation of the existing offices to create new office and meeting space as well as reception area. 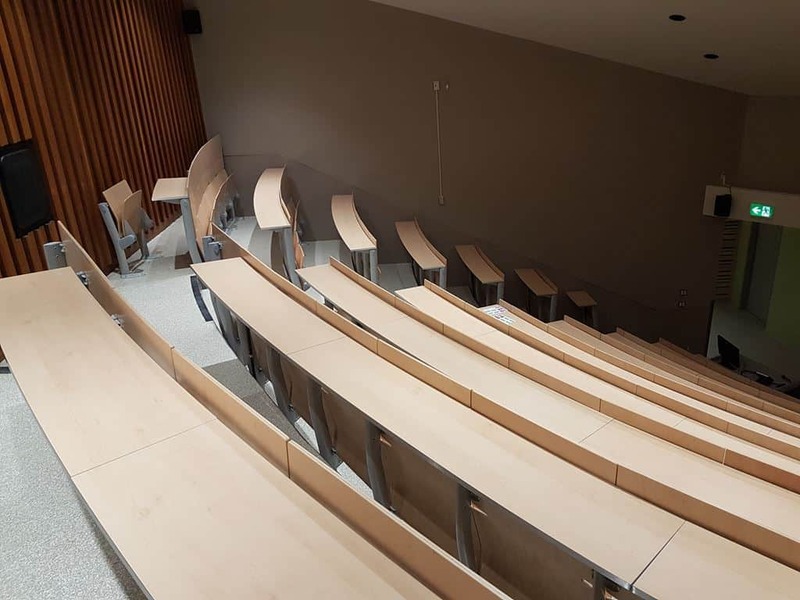 The use of glass and sleek millwork throughout provided a beautiful light-filled space for the University's use. 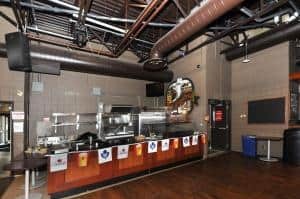 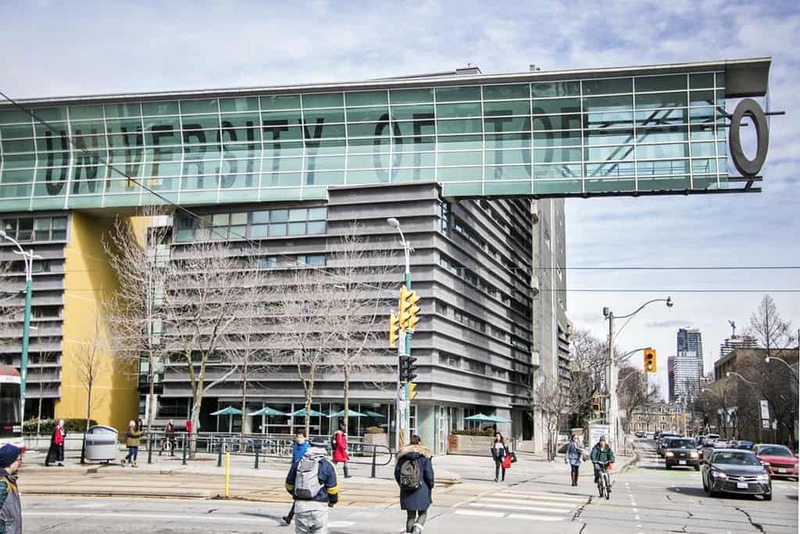 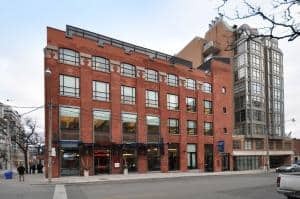 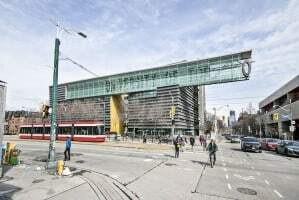 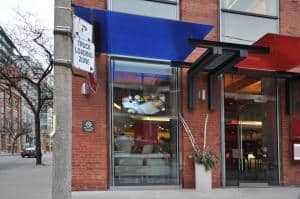 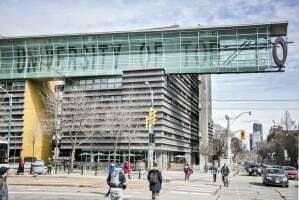 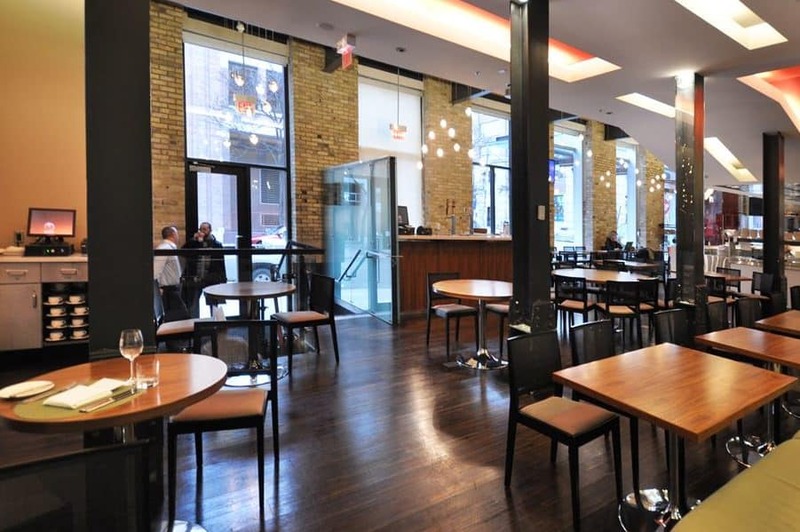 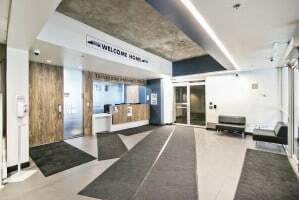 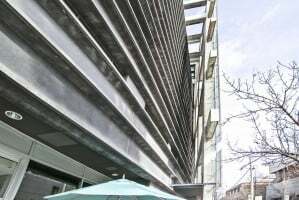 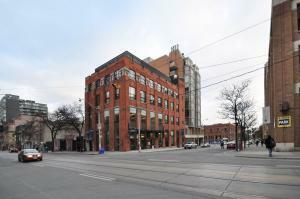 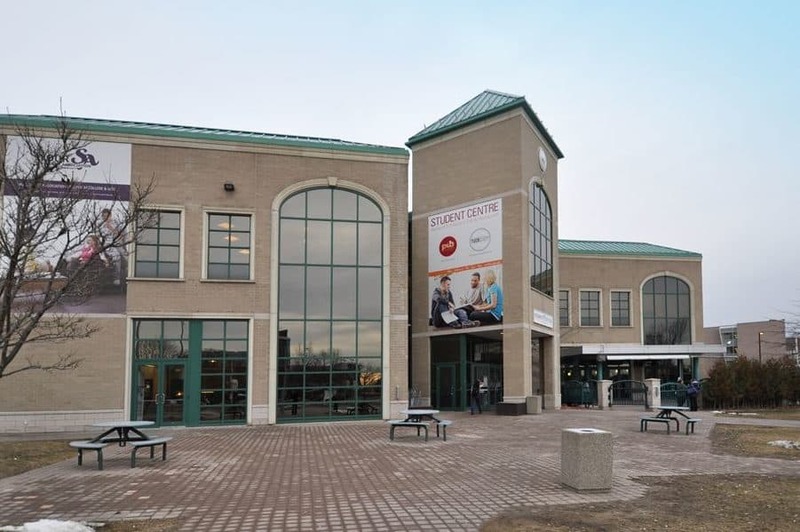 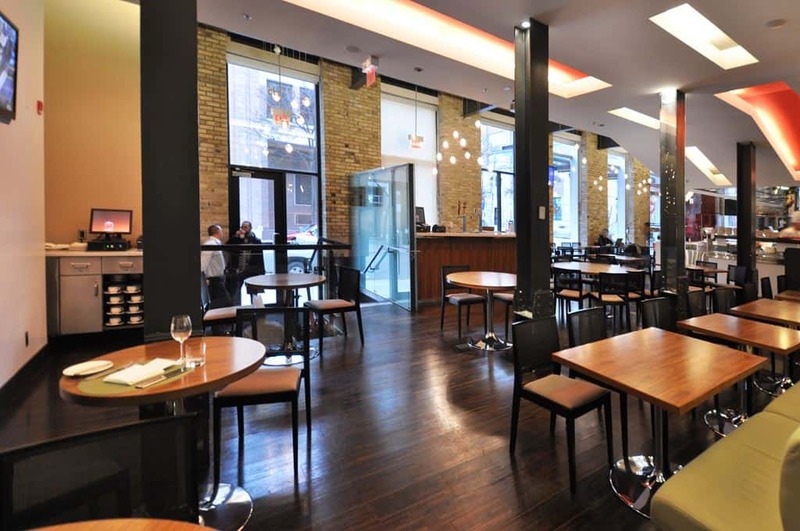 This project consisted of a $6 million renovation/retrofit to an existing 100-year-old, 4-story building at 215 King Street East, and is to house George Brown College Centre for Hospitality & Culinary Arts. 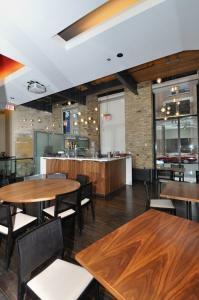 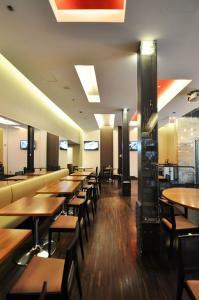 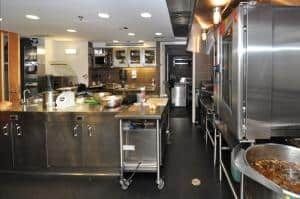 A new state of the art street-level restaurant, “The Chef’s House” was created. 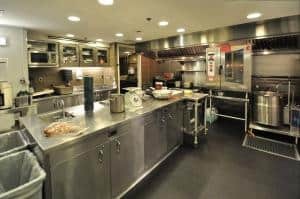 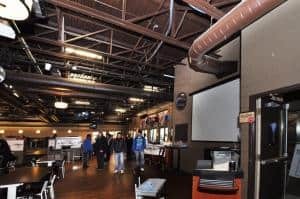 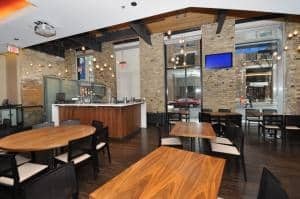 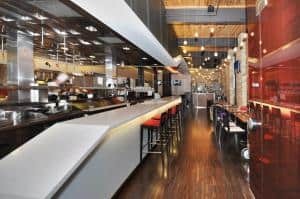 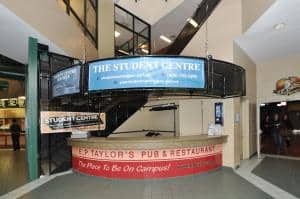 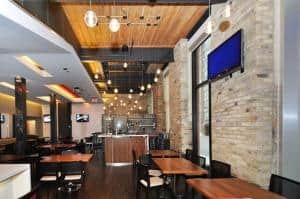 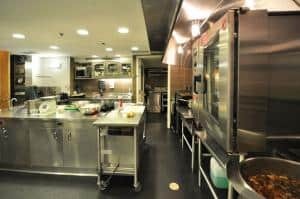 This high-end restaurant is open to the public and features an open kitchen with flat screen monitors throughout so patrons can experience their meals being created by the student chefs. 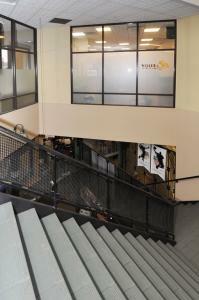 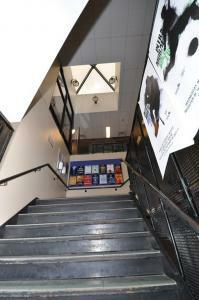 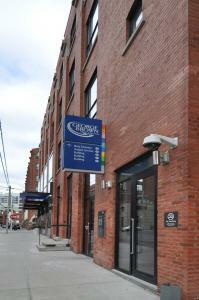 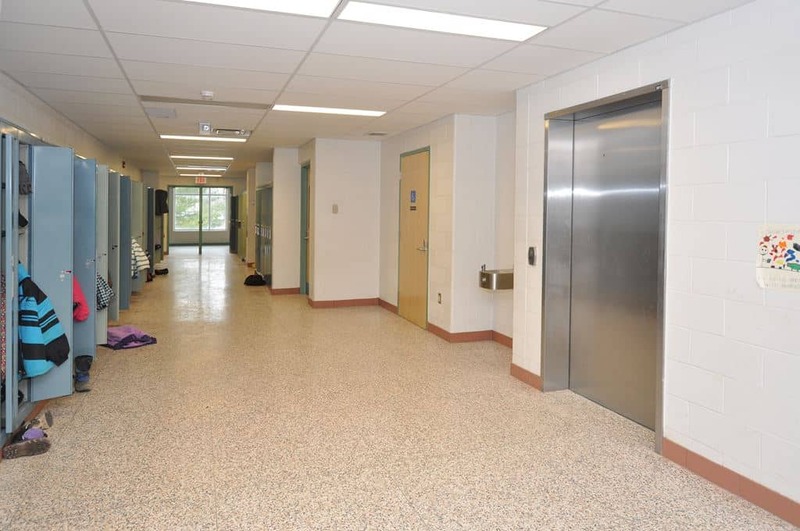 The upper floors have been renovated to offer up-to-date teaching facilities and classrooms. 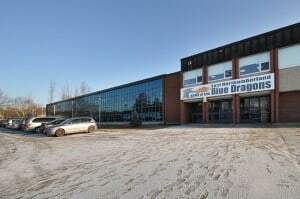 The Greer Galloway Group Inc.
New construction of a 2-story building including metal roof, exterior block, ceramic and VCT flooring, new mechanical and electrical and a new elevator. 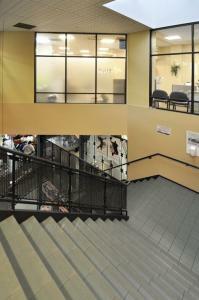 Scope was a renovation of the Gordon Willey C-Wing Ground Floor. 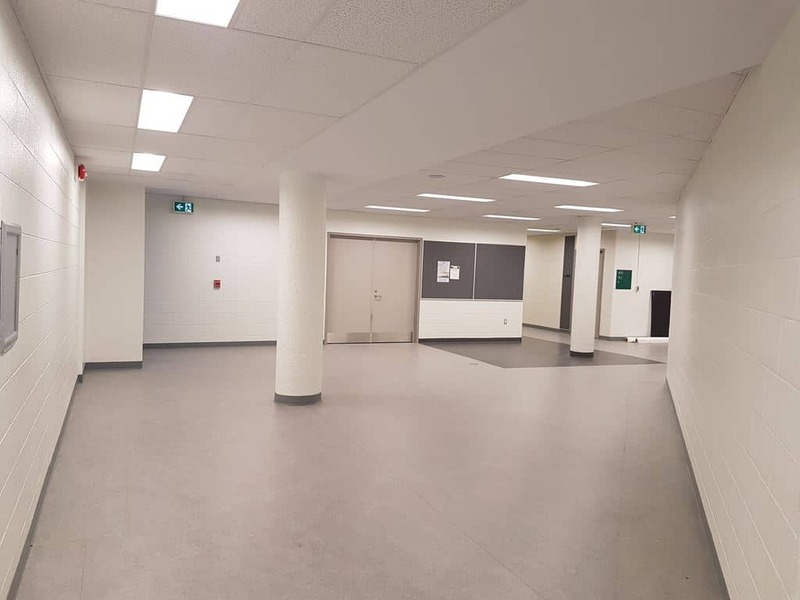 Included in the scope was new mechanical upgrades and replacement of lighting & ceilings, as well as new data and communications for each new lab. 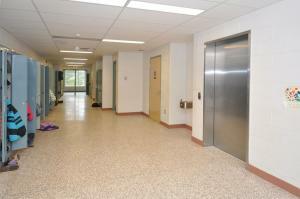 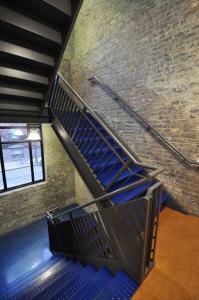 The project also included new flooring, painting doors and offices for staff. 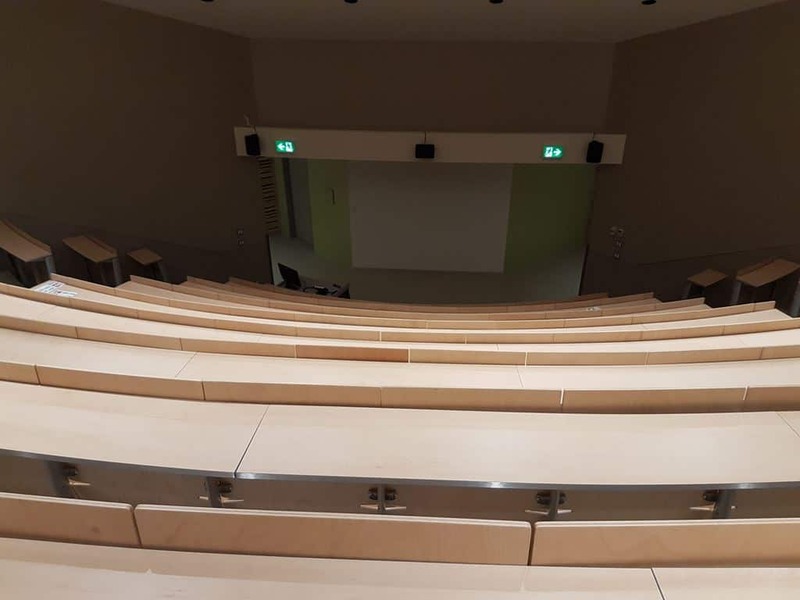 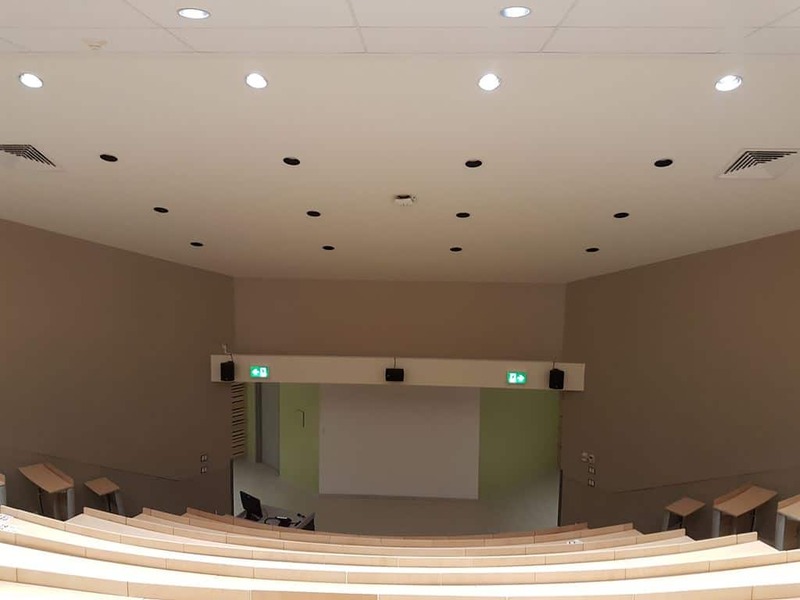 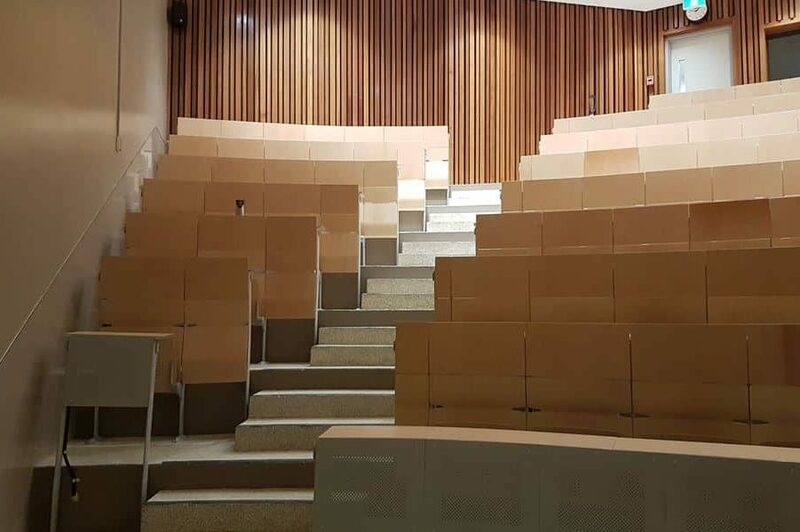 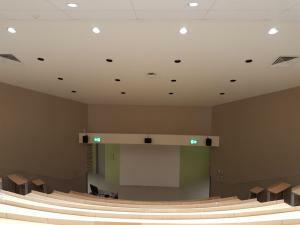 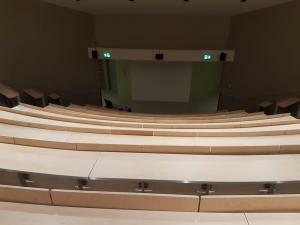 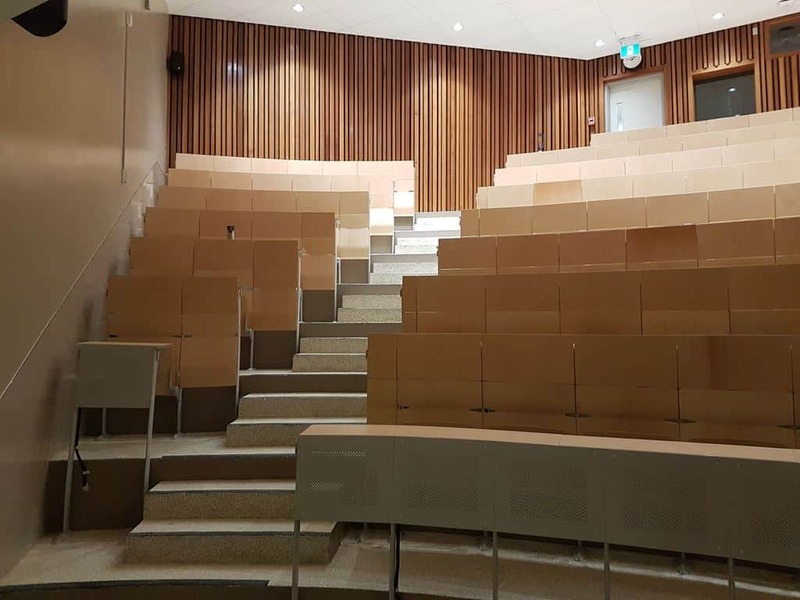 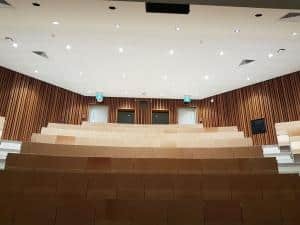 The College auditorium was completely renovated with new lighting, mechanical upgrades, epoxy flooring, painting and new seating. 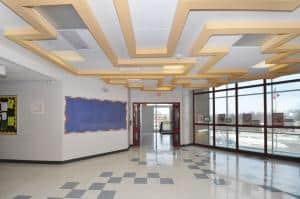 This new two-story 55,000sf school was constructed using the tilt-up wall construction method. 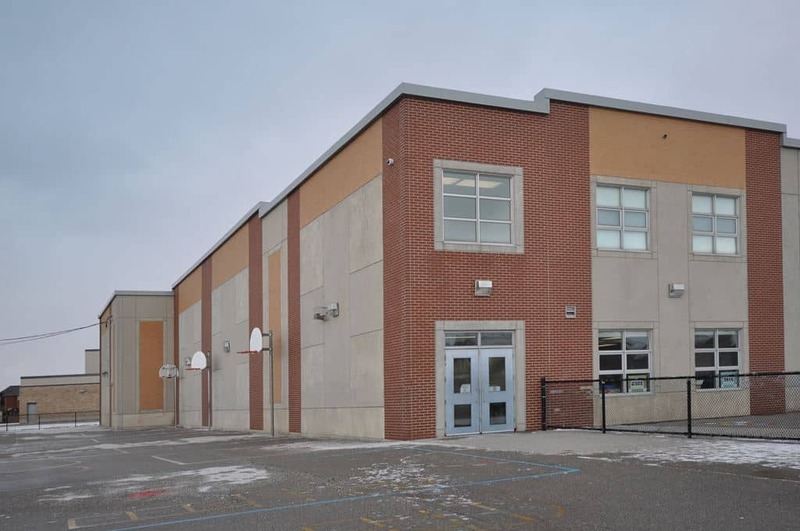 This was the first tilt-up wall construction project in Ontario. 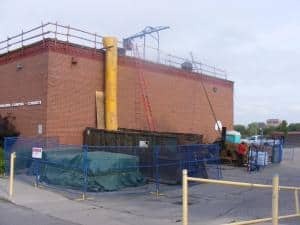 This method of construction uses a combination of form liner exterior and cast-in bricks, panels are cast on site and erected into place to accelerate project schedule. 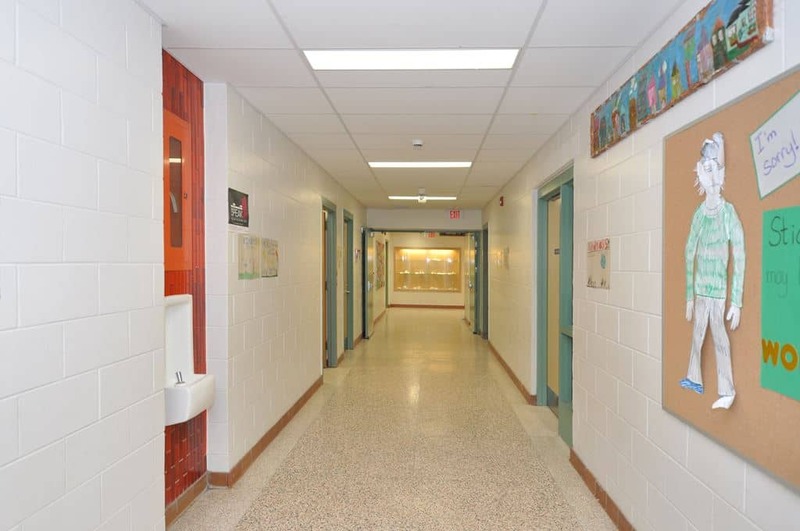 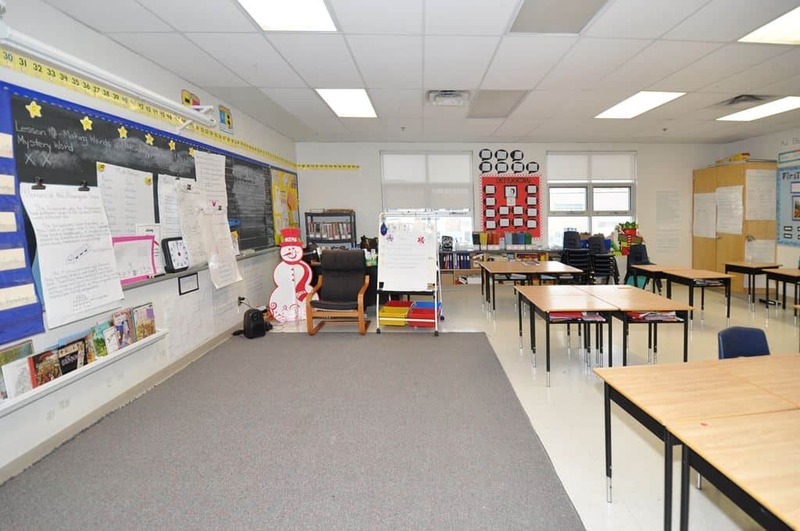 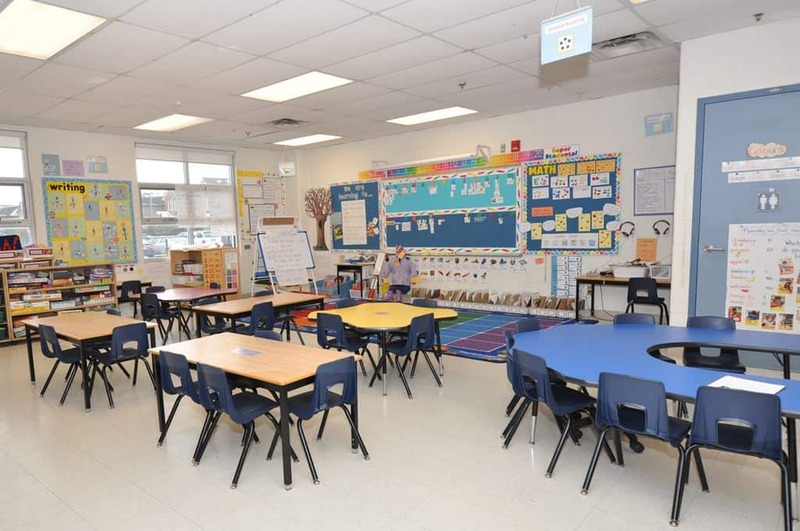 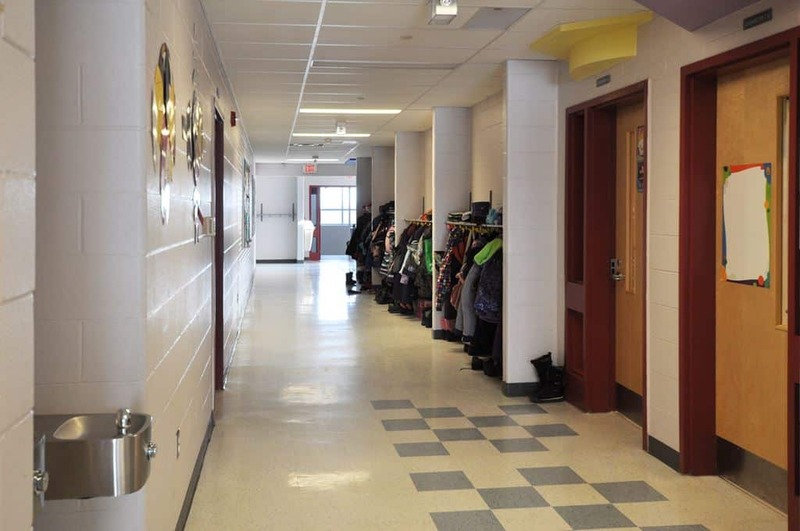 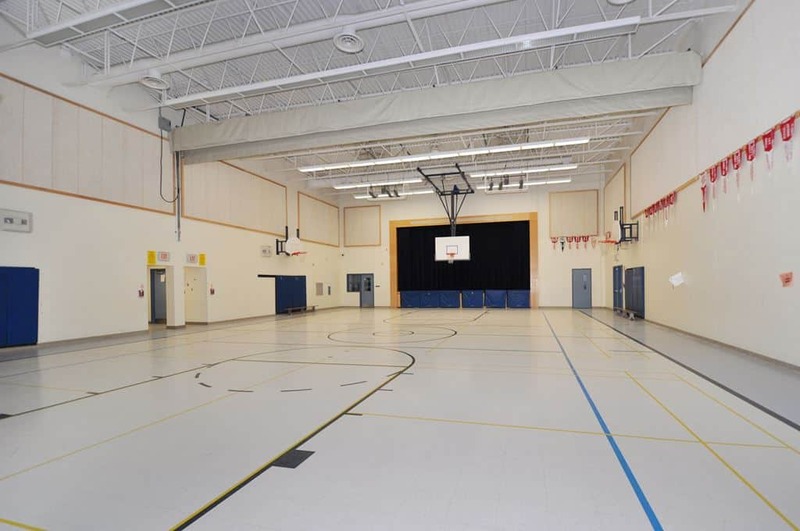 This entire school was constructed from site work to substantial performance in 6 months. 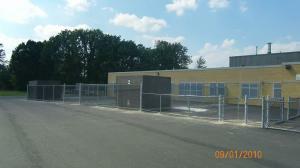 McCaskill Mills Elementary School addition required skill, knowledge and determination from all parties involved. 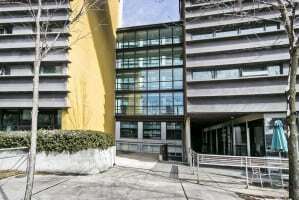 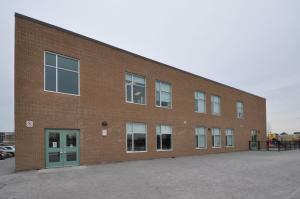 The addition is built of concrete foundations and masonry brick walls on the outside, and flat roof. 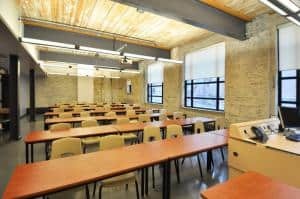 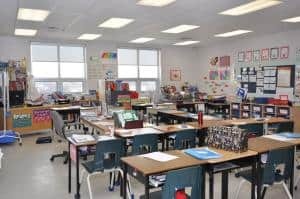 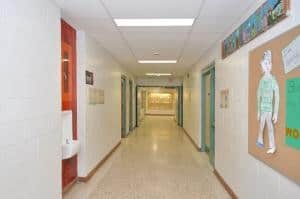 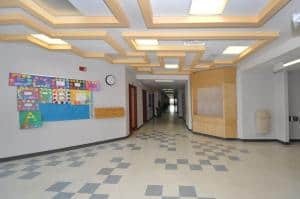 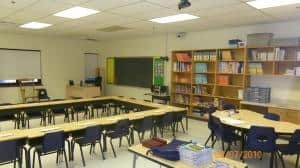 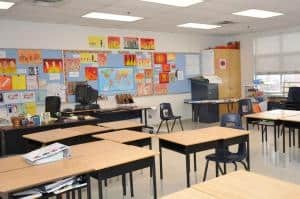 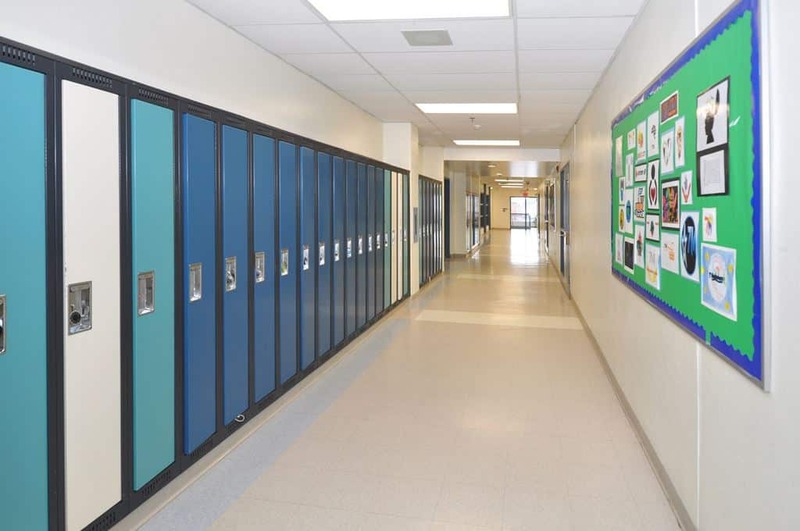 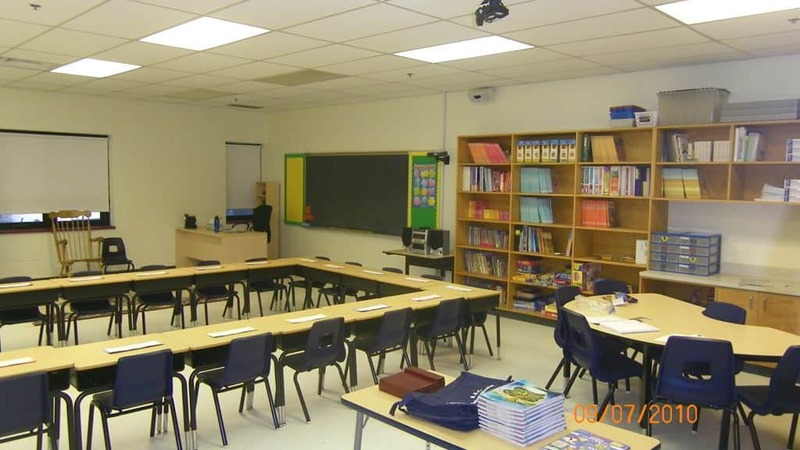 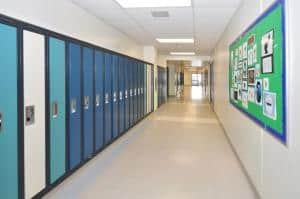 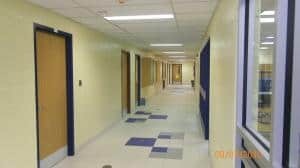 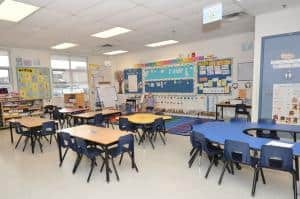 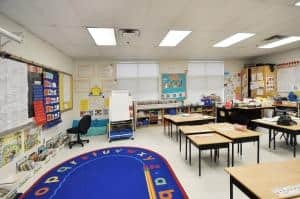 In typical school construction, the interior walls were built of painted masonry block wall partitions, acoustical ceilings, and VCT Flooring. Washrooms would carry ceramic tile with the wall made up of either steel studs and drywall or painted masonry block walls. 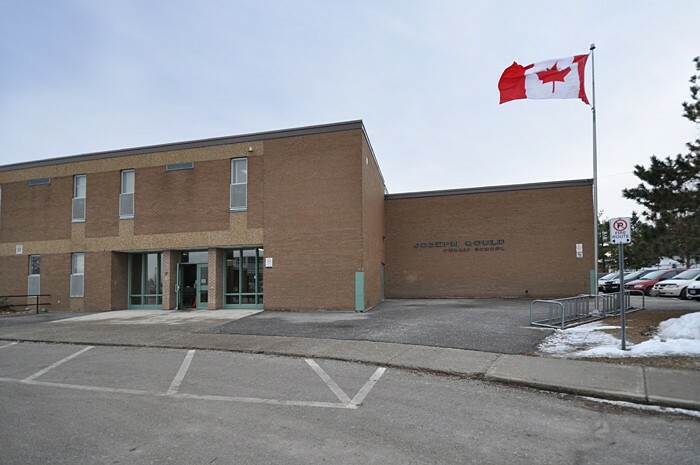 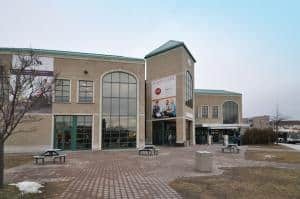 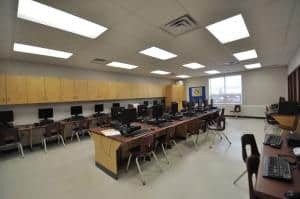 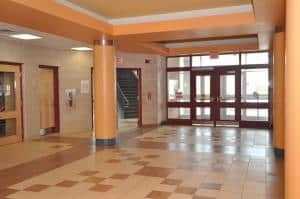 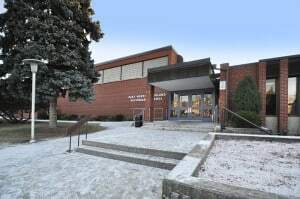 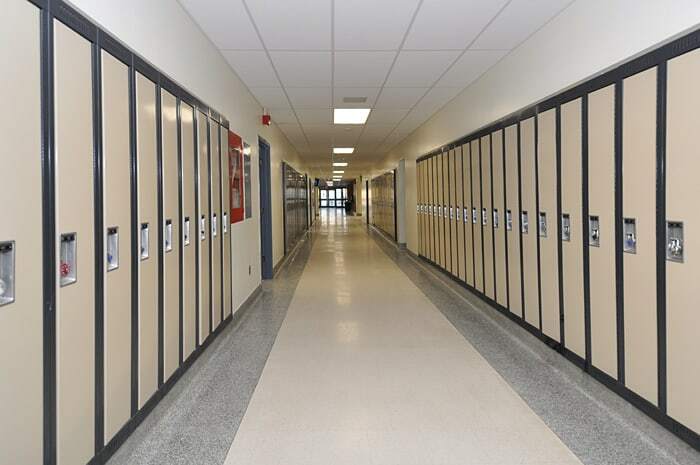 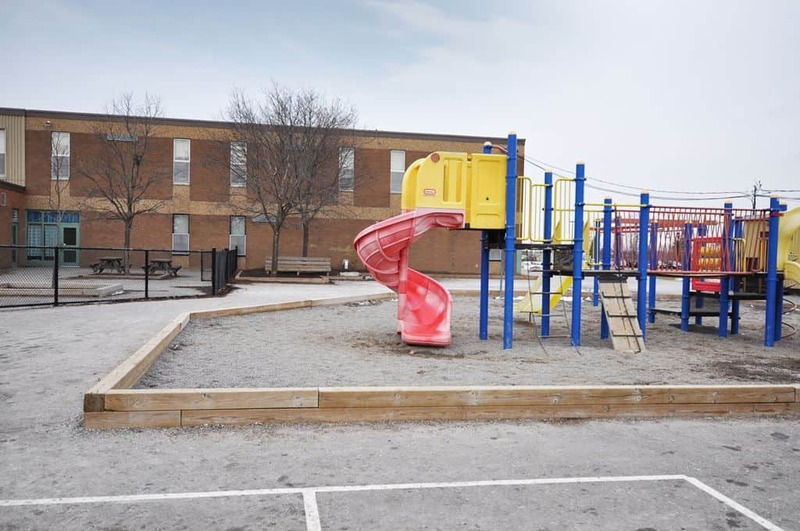 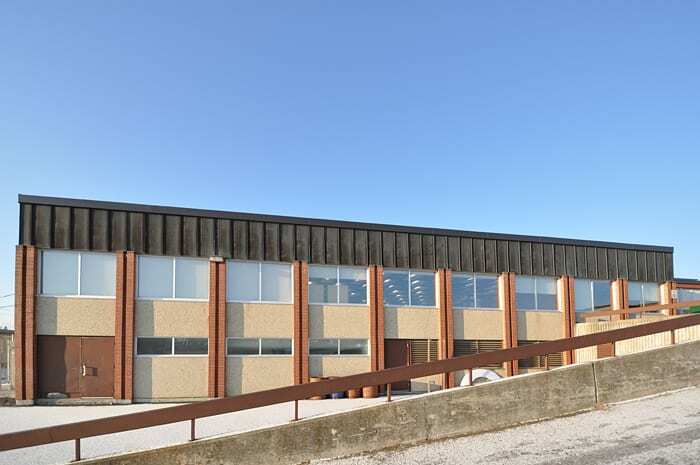 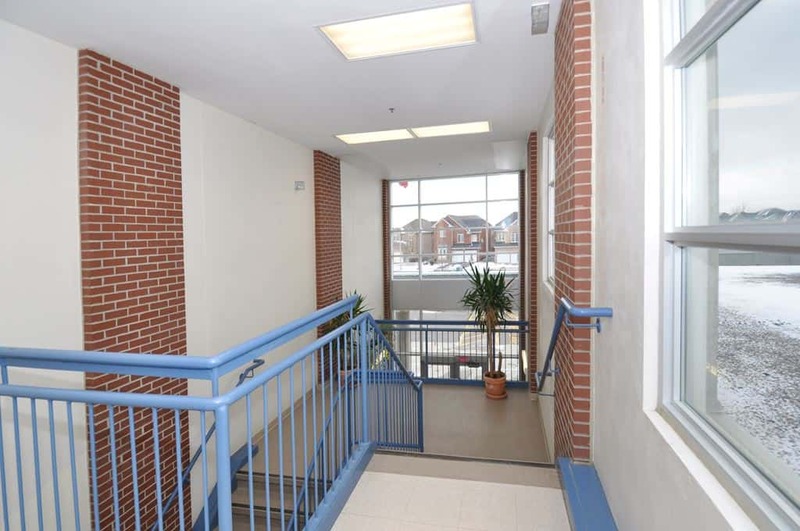 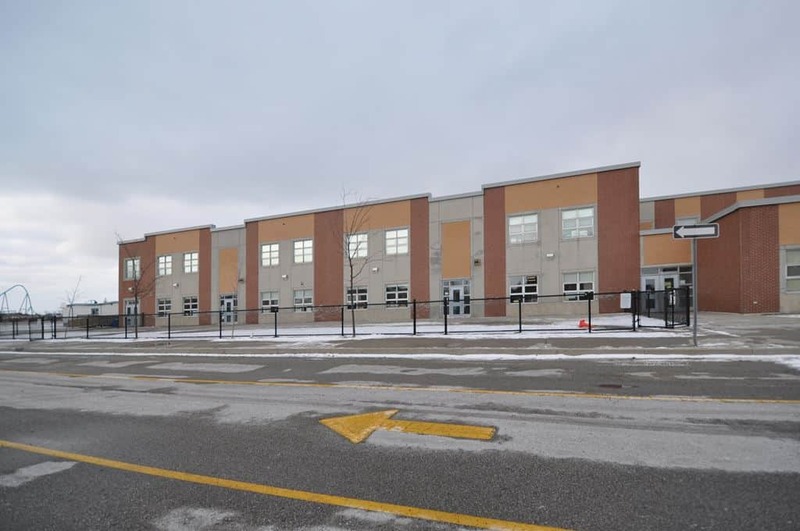 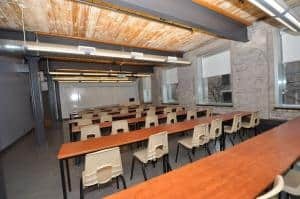 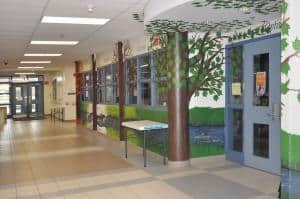 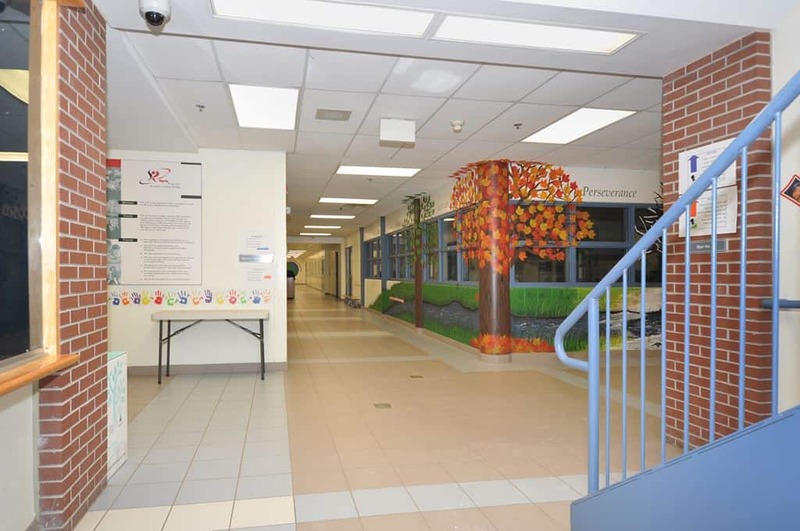 Joseph Gould Public School is a 2 story addition and required the skilled trades and skilled personnel to complete the project on time and on budget. 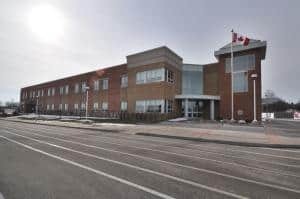 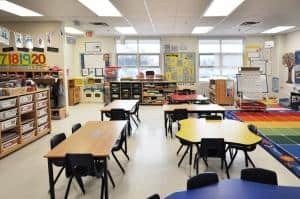 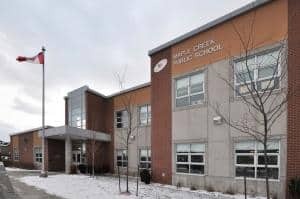 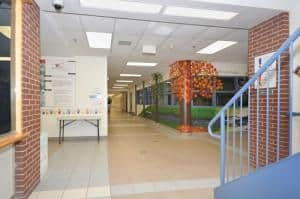 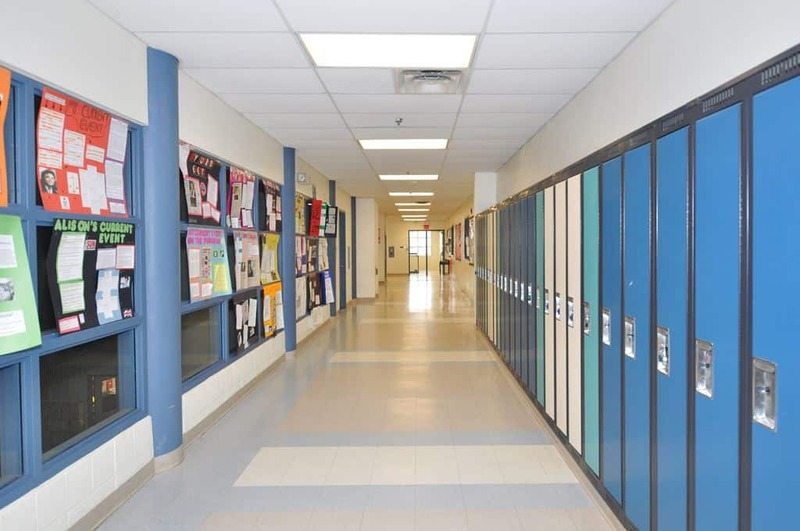 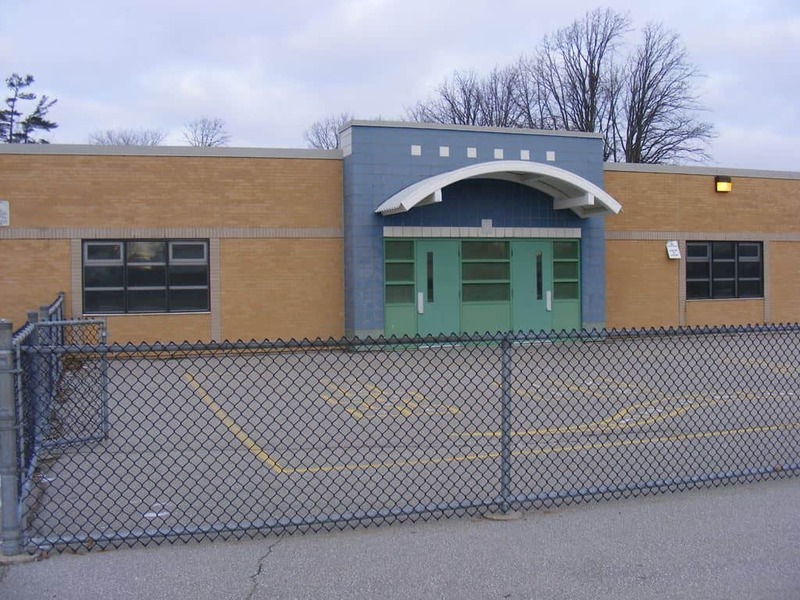 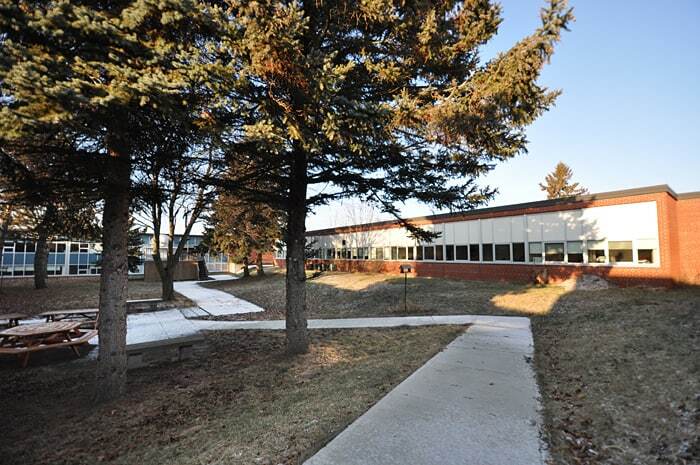 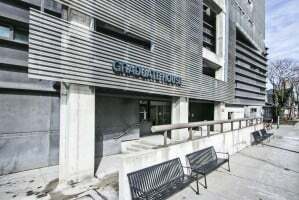 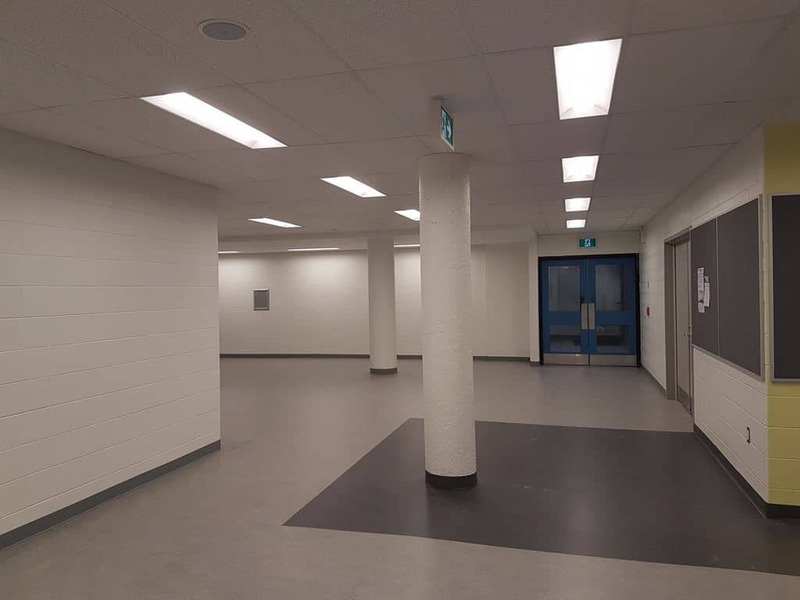 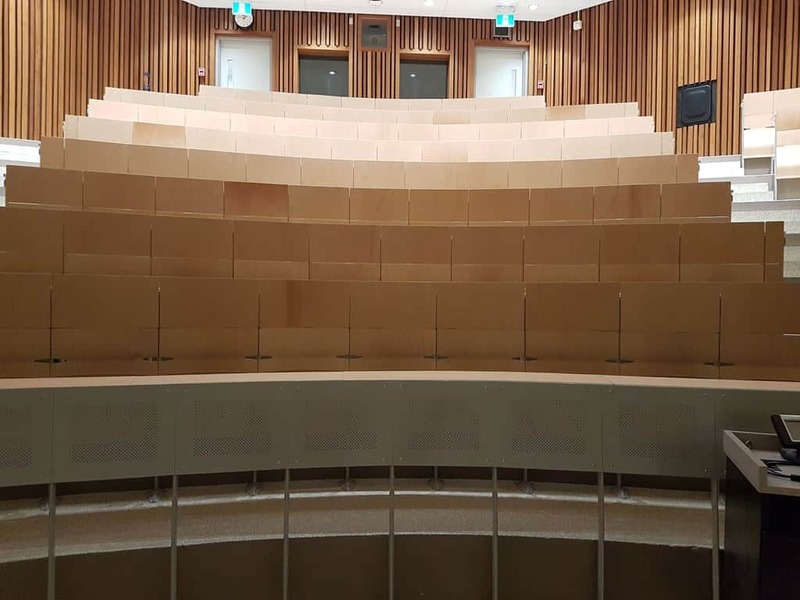 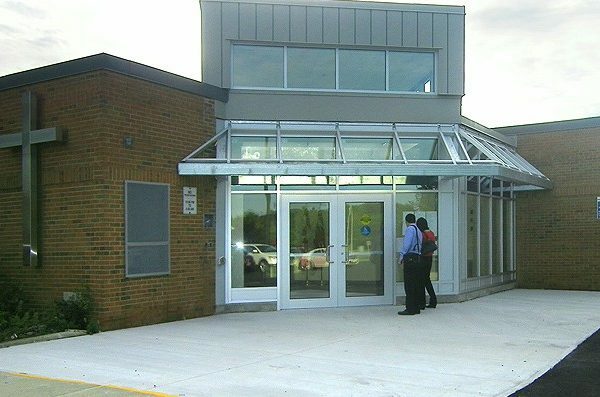 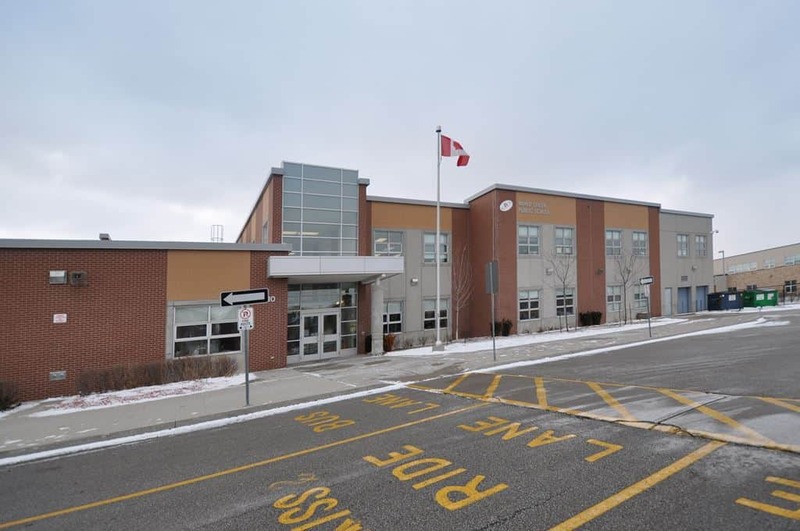 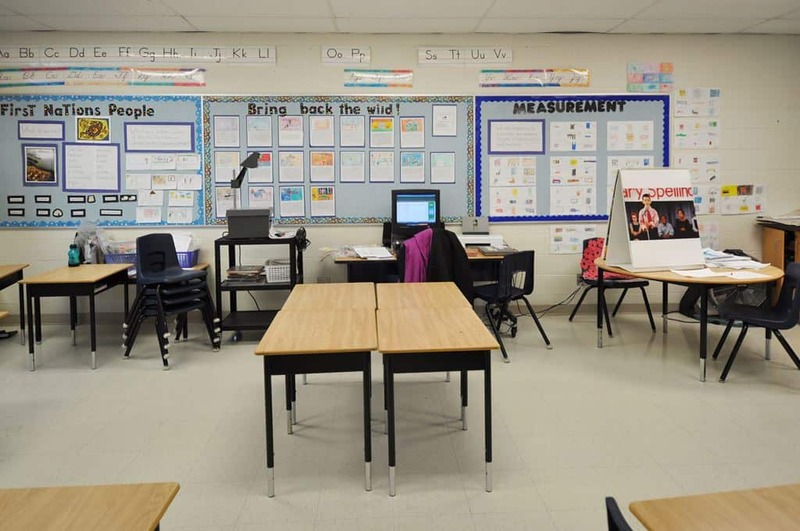 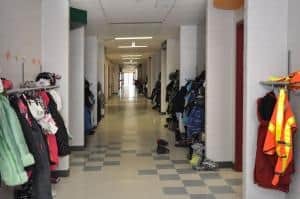 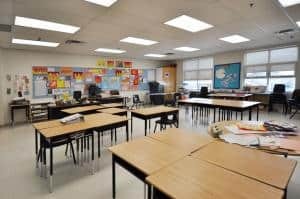 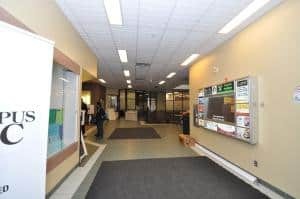 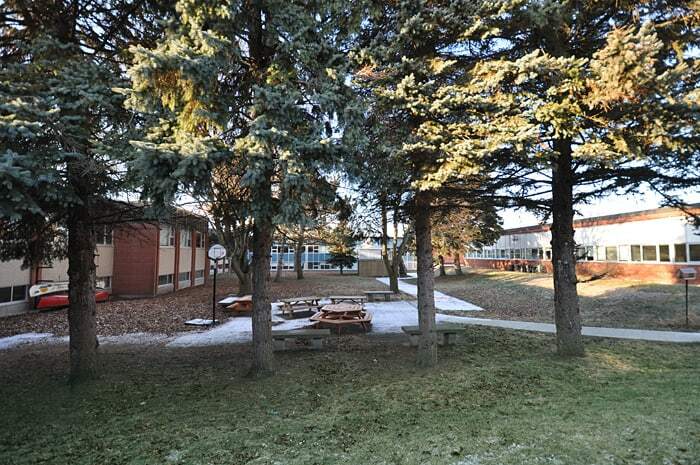 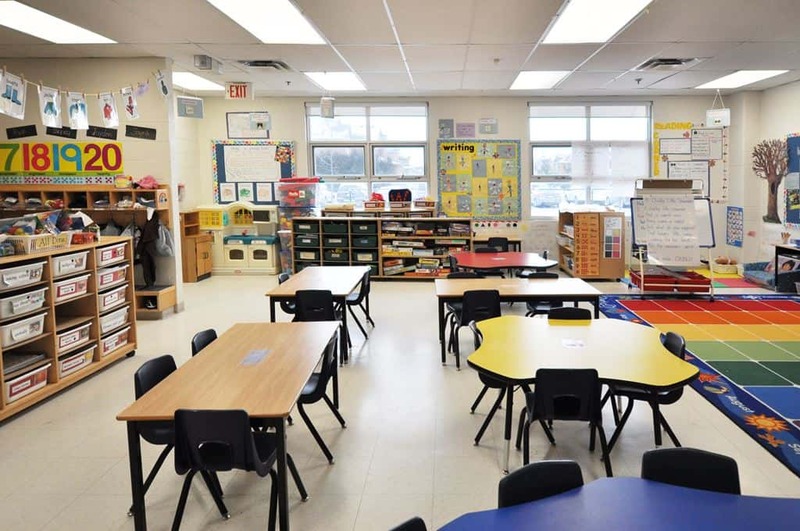 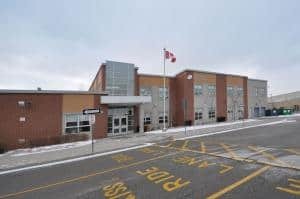 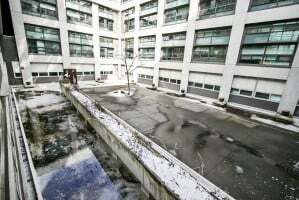 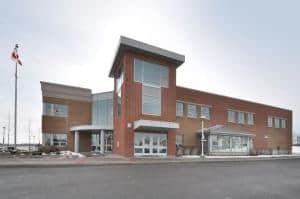 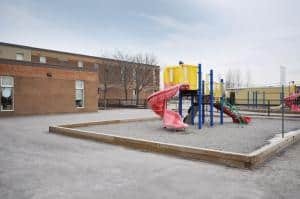 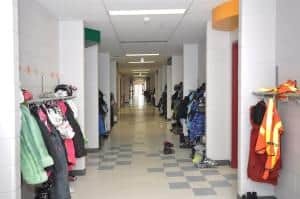 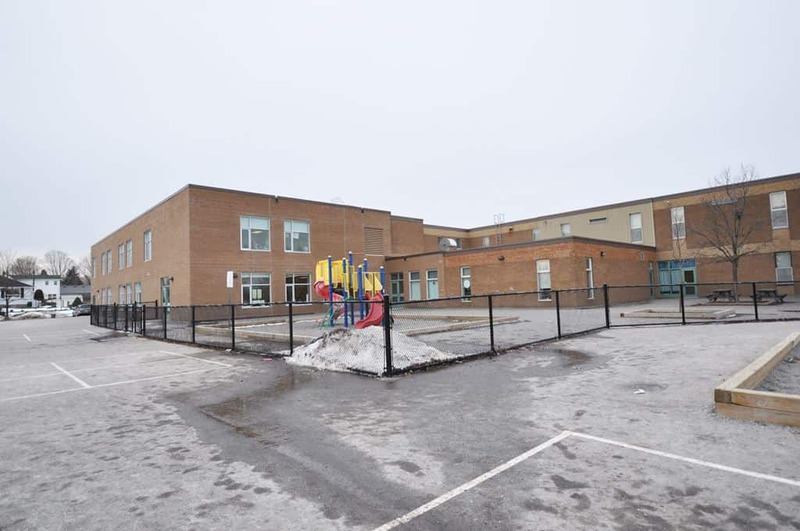 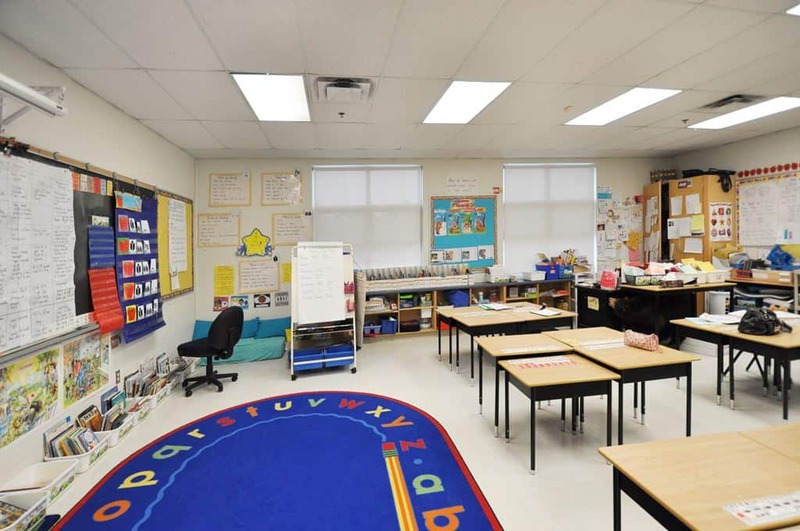 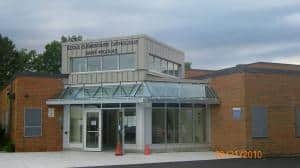 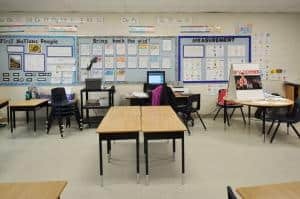 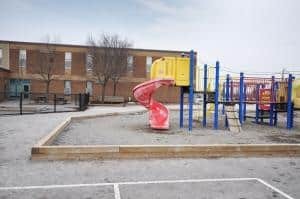 The addition is very similar to most schools in Ontario - built of concrete foundations and masonry brick walls on the outside, and flat roof, structural steel and open steel joists and hollow core slabs. 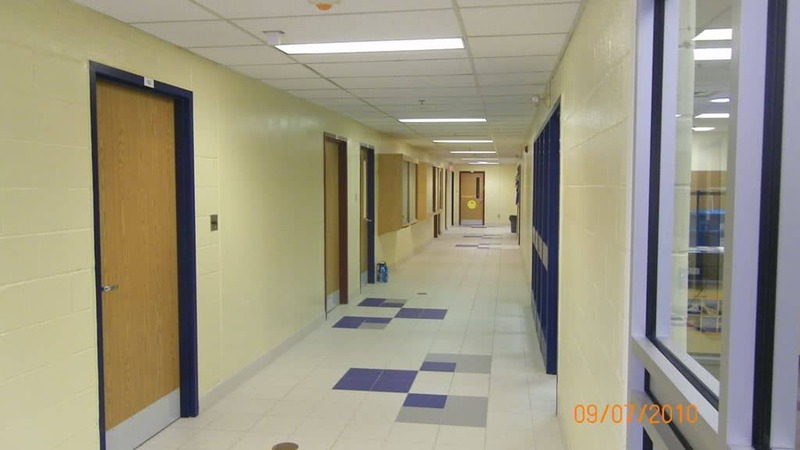 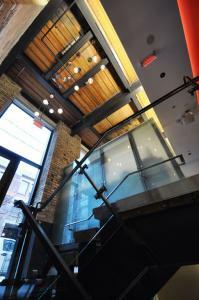 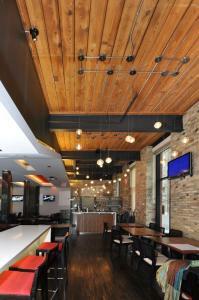 The interior walls were built of painted masonry block wall partitions, acoustical ceilings, and VCT Flooring. 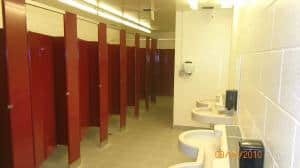 Washrooms would carry ceramic tile with the wall made up of either steel studs and drywall or painted masonry block walls. 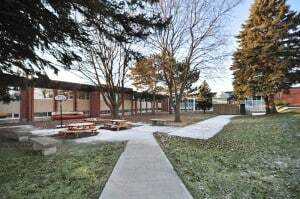 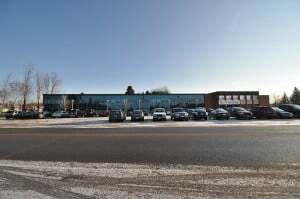 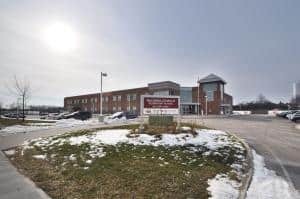 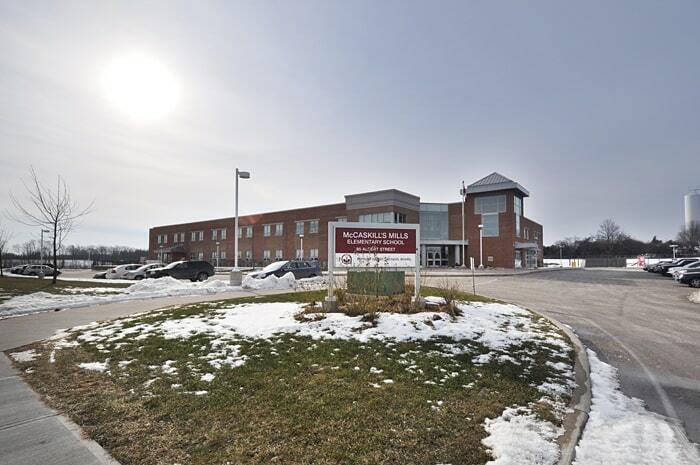 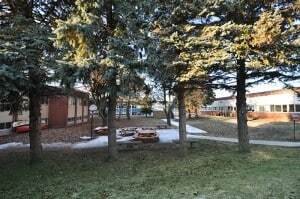 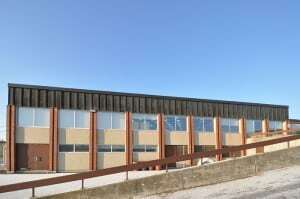 This High School belongs to the Kawartha Pineridge District School Board located in Brighton, Ontario. Over the last few years, we have completed numerous renovation and addition projects for this school board. Our mandate and goal with every school that we complete is to finish each project safely and on time. 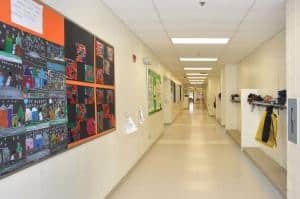 The timeline is most crucial for schools due to the schedule of classes for the new school year. 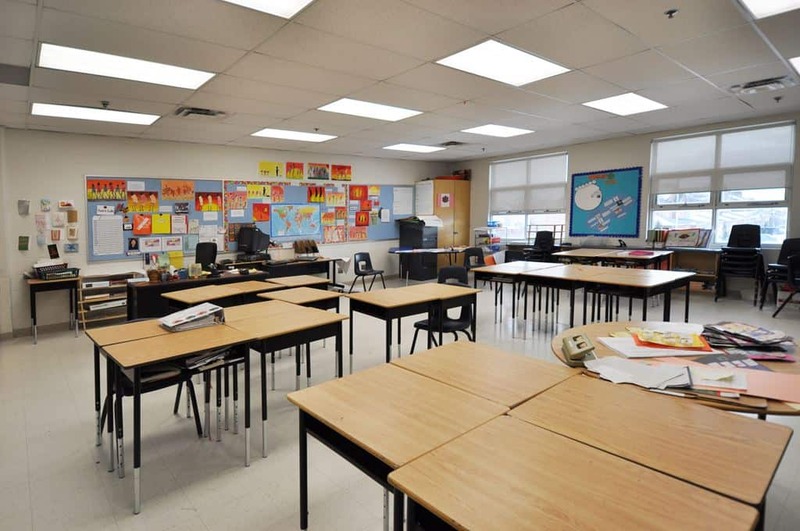 School boards typically would like to start and finish work after the school year ends. 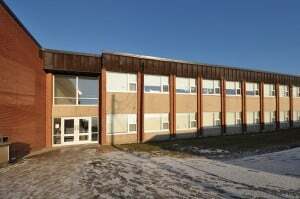 The East Northumberland Secondary School scope of work included a complete window and locker replacement for the entire school. 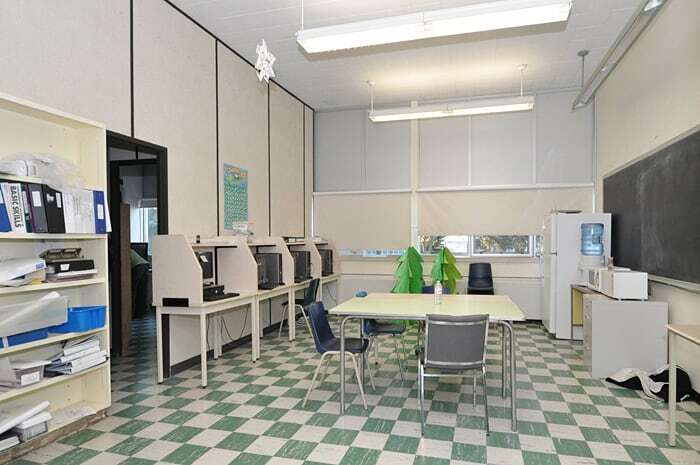 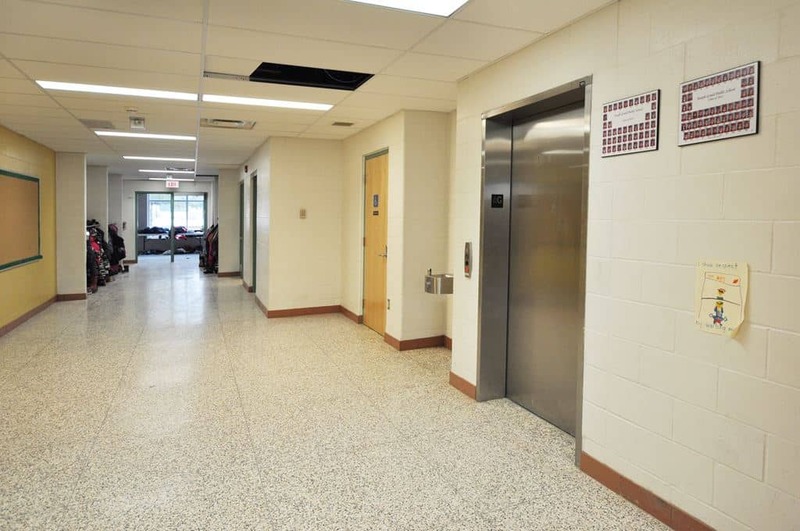 Due to the age of the school, asbestos abatement and demolition were done so that the mechanical and electrical upgrades could also be complete. 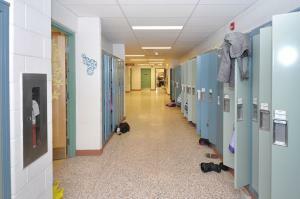 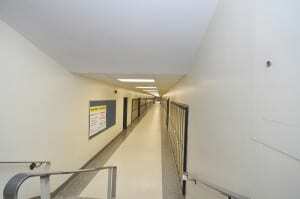 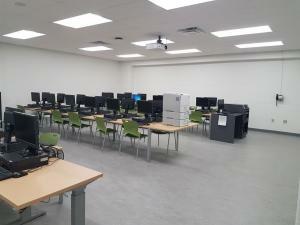 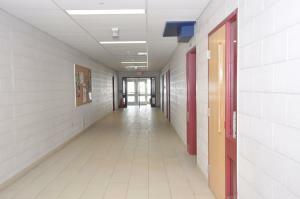 There were also interior renovations to all of the hallways and some of the classrooms. 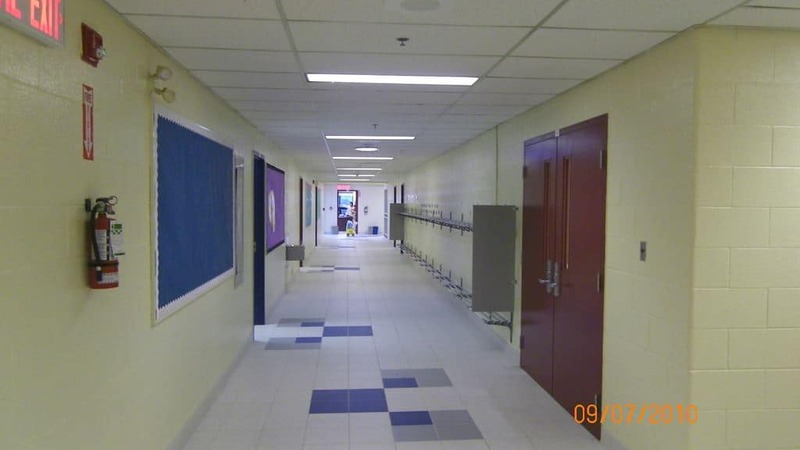 This included new drywall and acoustical ceilings, fresh paint and flooring in some areas. 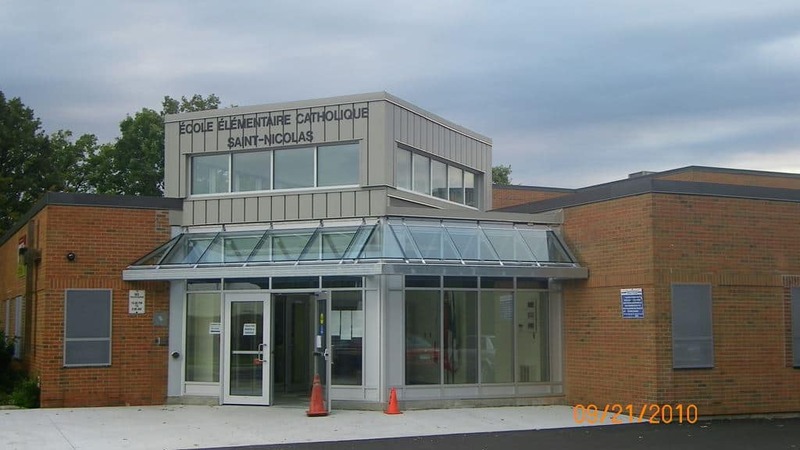 J. J. McGuire has worked with the Conseil Scolaire de District Catholique Centre-Sud since 2009. 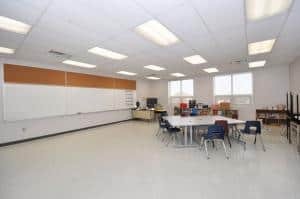 We have completed various interior renovations and have just completed an addition/renovations to a newly purchased school. 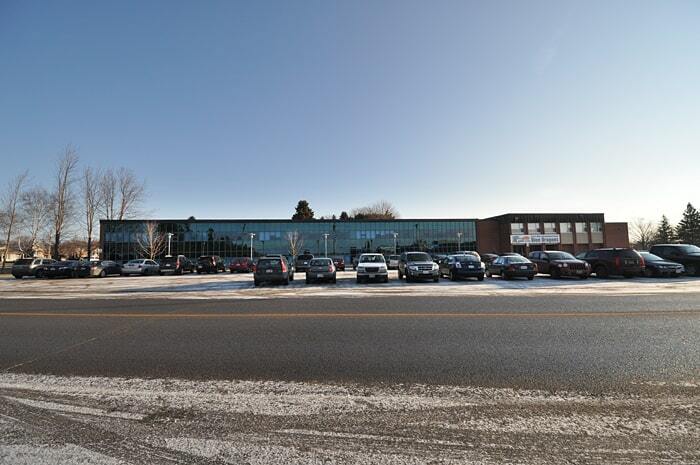 The first phase of this project encompassed removing the roof slab on the existing one-story infill to accommodate the new two-story addition, as well as renovations to the existing first floor to provide new administration offices. The second phase involved an existing canopied patio to provide additional student study space. 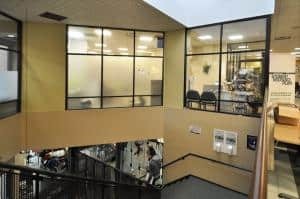 This enclosure consisted of glass on three sides, extensive asbestos removal within occupied areas, and complete interior finishes to the newly enclosed area. 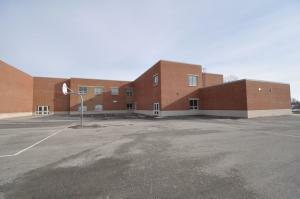 The additions were constructed while maintaining daily activities within occupied areas.